Newport County vs Manchester City predictions for Saturday’s FA Cup clash. Newport County face the almost impossible task of knocking Manchester City out of the FA Cup on Saturday. Read on for all our free predictions and betting tips. FST’s Dean Goddard covers our Newport County vs Manchester City predictions and betting tips in the video below. Newport County have already pulled off 2 huge shocks in this season’s FA Cup, first knocking out Premier League side Leicester and followed by eliminating Middlesbrough in their 4th round replay earlier this month. However, Saturday is likely to prove a step too far for the overachieving League 2 outfit. 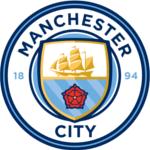 They face off against a Manchester City side who look utterly rampant at times, and the overwhelming likelihood is that The Ironsides won’t come out on top. Manchester City’s last outing saw them absolutely demolish a beleaguered looking Chelsea side at the Etihad, scoring 6 goals in that game to make it 3 wins on the bounce in all competitions. This will be understandably terrifying to the visitors, especially after the Citizens took no prisoners when they thrashed Burton Albion 9-0 in the first leg of their League Cup semi final earlier this year. In fact, at home Manchester City have scored 33 goals in their last 6 matches – A figure that is bordering on the absurd. Sane and Foden to score, Bennett carded and over 10.5 corners. Away from home it has been a different story for much of the season though. While they are still dominant, they do tend to tone down their attacking play a bit. They have only scored a comparatively modest 11 goals in their last 6 away games, including only beating Burton 1-0 away from home after their ridiculous home scoreline. Additionally, plenty of Manchester City’s first team players will be rested here, with a midweek Champions League tie approaching. Admittedly their backup players would still walk into most Premier League sides, but it’s an undoubted step down in quality that could keep the scoreline relatively respectable. Newport County have only conceded 2 goals in their last 7 home matches as well, and considering the visitors toned down attacking play when away from home, this could actually turn out a lower scoring affair than you might expect. Only 1 of Manchester City’s 19 competitive trips away this season has seen more than 4 goals scored, so we’re backing Manchester City to Win and Under 4.5 Goals along with a comfortable 3-0 win for them. We’re also backing the likely midfield starter Phil Foden to bag a goal. The talented youngster has scored 3 goals in 5 domestic cup starts for Manchester City this season, so at these odds he looks a very good value option for our anytime goalscorer predictions. Just 1 of Manchester City’s 19 competitive away games this season has seen more than 4 goals scored. 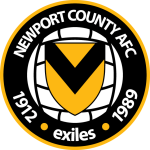 Newport County have only conceded 2 goals in their last 7 home matches. The visitors have averaged 1.83 goals per game in their last 6 away matches, compared to 5.5 goals per game over their last 6 home matches.